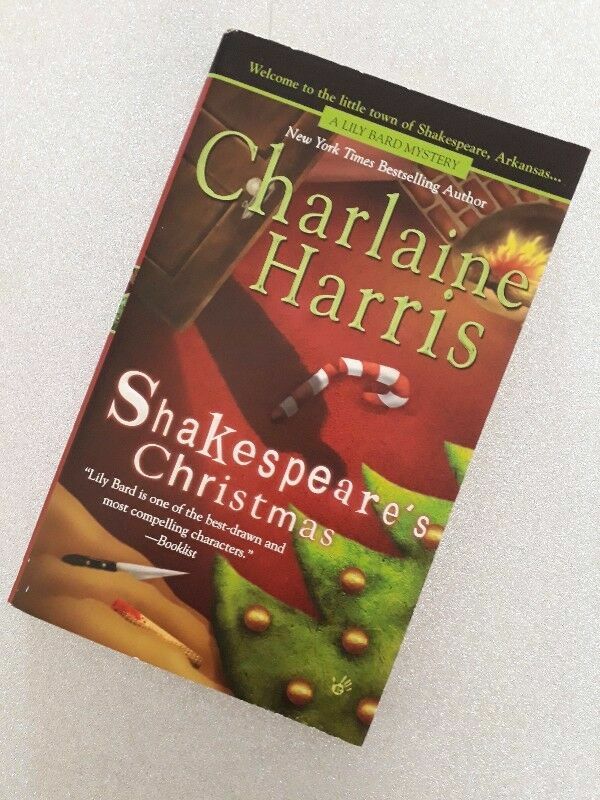 Shakespeare's Christmas - Charlaine Harris - Lily Bard Mystery Series #3. Hi, I’m interested in Shakespeare's Christmas - Charlaine Harris - Lily Bard Mystery Series #3.. Please contact me. Thanks! Even in a sleepy Arkansas town, the holidays can be murder. Lily Bard is going home for the holidays. More comfortable in baggy sweats than bridesmaid's frills, Lily isn't thrilled about attending her estranged sister's wedding. She has moved to Shakespeare, Arkansas, to start a new life, cleaning houses for a living, trying to forget the violence that once nearly destroyed her. Now she's heading back to home and hearth--just in time for murder. The town's doctor and nurse have been bludgeoned to death at the office. And Lily's detective boyfriend suddenly shows up at her parents' door. Jack Leeds is investigating an eight-year-old kidnapping and the trail leads straight to Lily's hometown. It just might have something to do with the murders...and her sister's widowed fiancé. With only three days before the wedding, Lily must work fast to clean up the messy case before her sister commits...marriage! 2 x Knitting and crochet books Plus Needles, hooks and Patterns. I have 2 x beautiful books on knitting and crochet to take you from a beginner just learning to some more professional techniques and projects all in easy step by step layout with pics to help guide you. Also included is 3 x pairs of knitting needles, 2 x crochet hooks, some wool and a load of knitting and crochet patterns for adults, kids, babies and soft furnishings and toys. Price is negotiable.